Ceará and Corinthians meet at Estádio Governador Plácido Aderaldo Castelo, in a match for this stage of the Copa do Brasil (3rd Round). In the last 3 years these teams met twice: the earliest head‑to‑head was played on 06‑09‑2018 and ended in a (2‑1) win by Ceará, and the latest on 06‑05‑2018, which ended in a (1‑1) draw, Both teams register significant differences between home and away results, so the home/away factor is worth atention. The home team comes to this stage of the Copa do Brasil (3rd Round) after having played in the previous rounds against: Foz do Iguaçu and Central. This is a team that usually makes good use of the home advantage, stronger with the help of its supporters, since in the last 30 matches they register 3 wins, 8 draws and 4 losses in away matches, with 16 goals scored and 13 conceded; against 9 wins, 5 draws and 1 loss at their stadium, with 24 goals scored and 8 conceded. They come to this match after a away draw against Fortaleza by (0‑0). 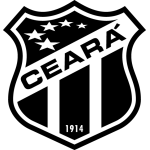 Ceará has won 6 and tied 4 of the last 10 home matches. Their offense has scored frequently, since they have scored goals in 8 of the last 10 matches. Confirmed Lineup: Richard, João Lucas, Eduardo Brock, Luiz Otávio, Samuel Xavier, Juninho, Fabinho, Felipe Silva, Ricardinho, Chico, Roger. The away team comes to this stage of the Copa do Brasil (3rd Round) after havinf played in the previous rounds against: Avenida and Ferroviário. This is a team that usually makes good use of the home advantage, stronger with the help of its supporters, since in the last 30 matches they register 2 wins, 5 draws and 8 losses in away matches, with 9 goals scored and 15 conceded; against 6 wins, 6 draws and 3 losses at their stadium, with 17 goals scored and 16 conceded. In their last match, for the Paulista A1, they got a home tie against Santos by (0‑0). 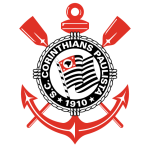 In the last 10 away matches Corinthians has won 3, tied 2 and lost 5. Defensive consistency hasn’t been their best feature, as they have conceded goals in 7 of the last 10 matches, but their offense has scored consistently, as they have scored goals in 8 of the last 10 matches. In their away matches there is a tendency for few goals, since 37 of the last 72 matches have ended with Under 1,5 goals and 53 out of 72 have ended with Under 2,5 goals. In 14 matches, they have conceded the first goal 7 times and have only turned the score around in 2. Confirmed Lineup: Cássio, Henrique, Manoel, Danilo Avelar, Fágner, Ralf, Júnior Urso, Clayson, J. Sornoza, Vágner Love, M. Boselli.